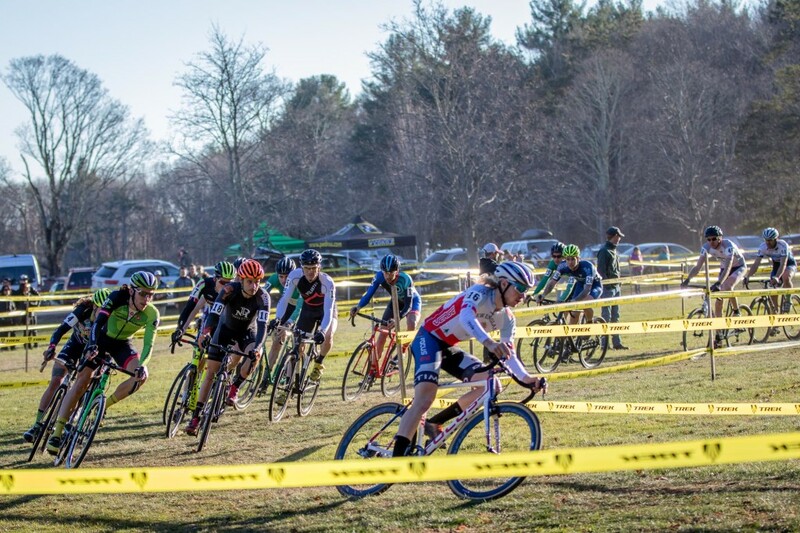 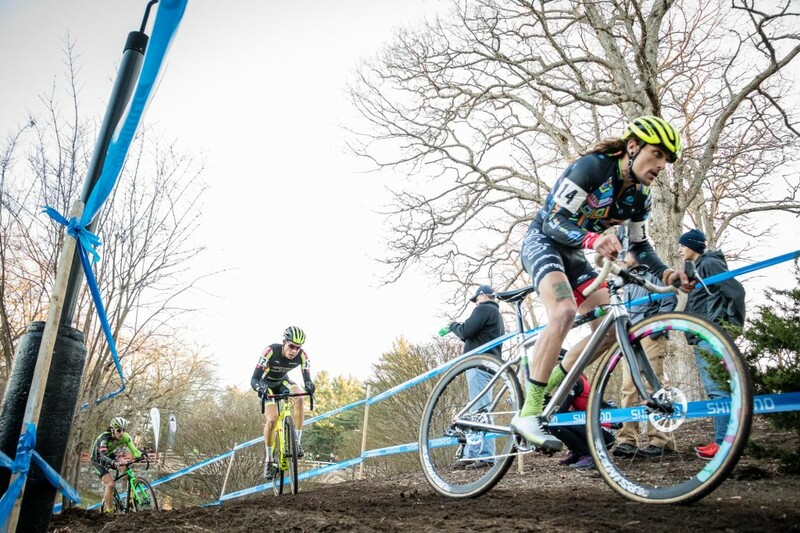 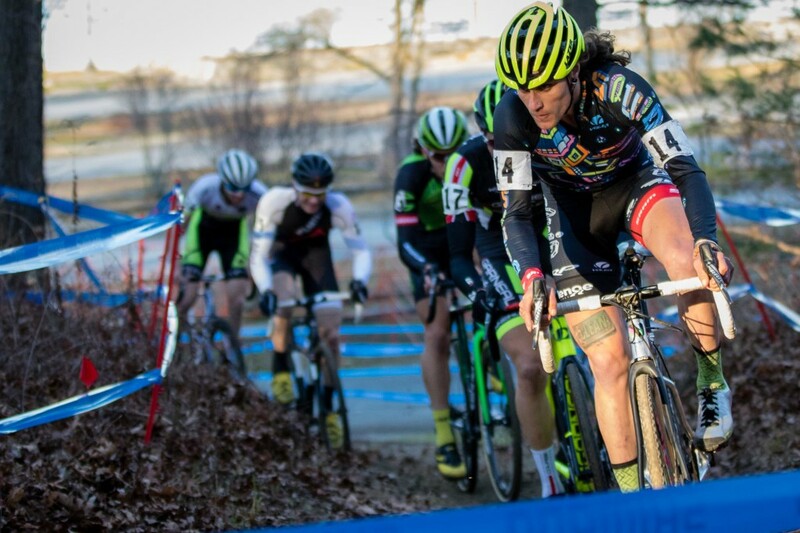 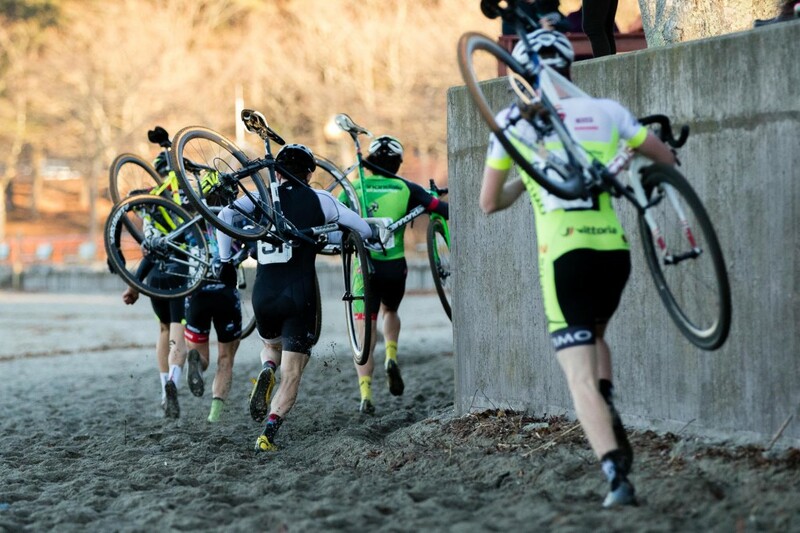 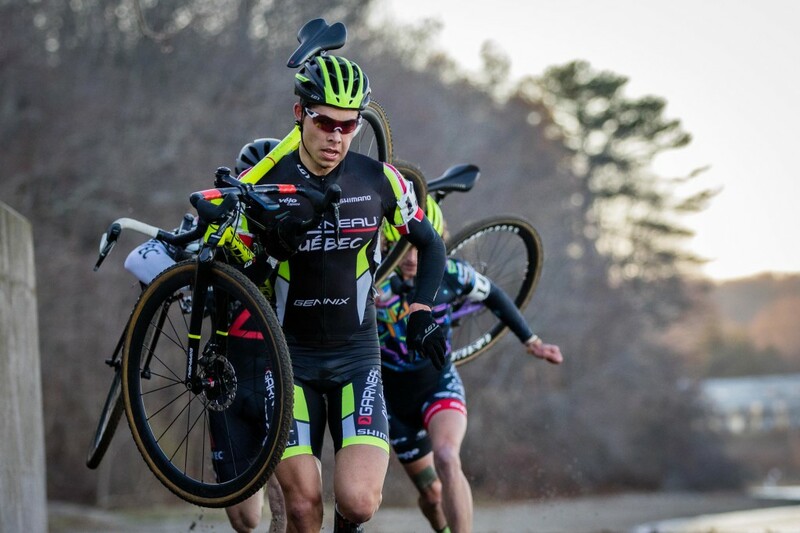 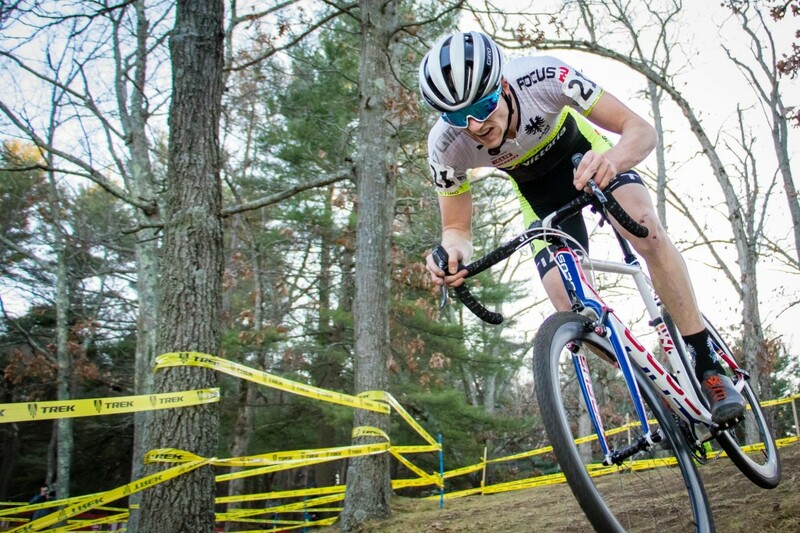 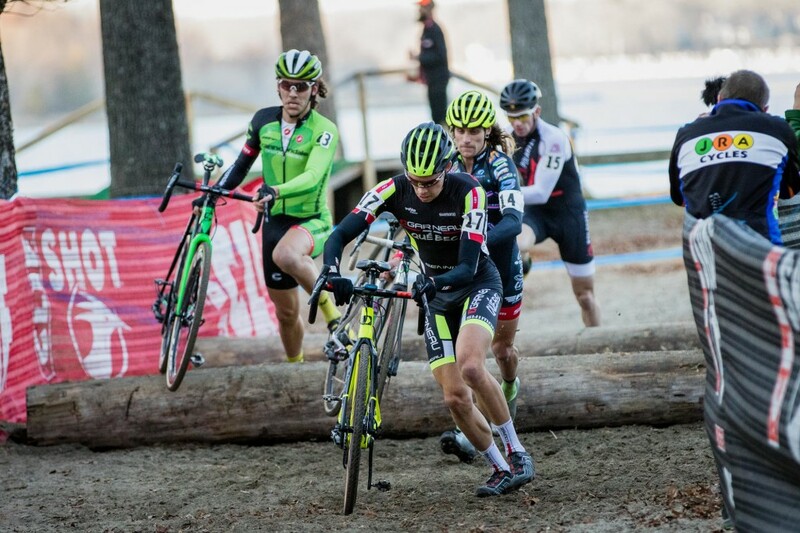 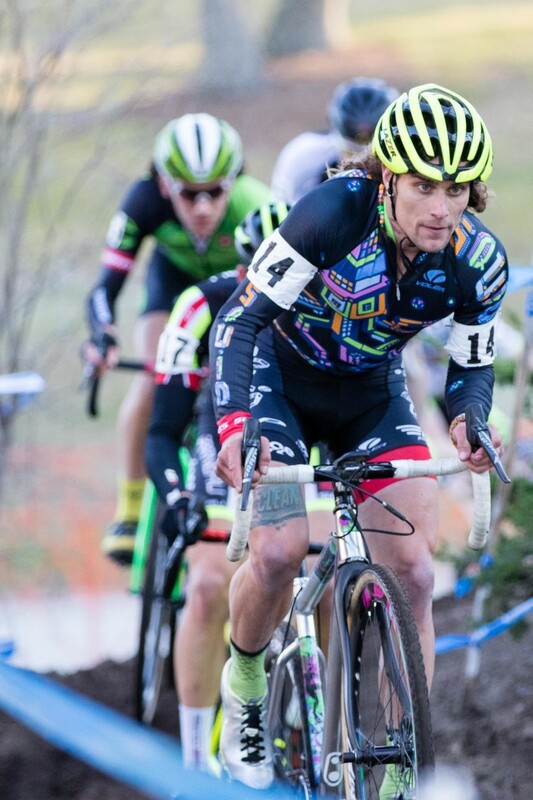 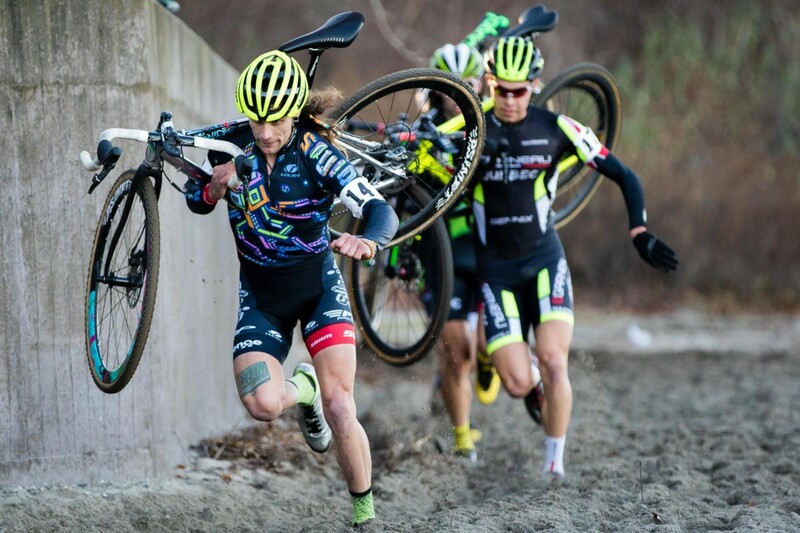 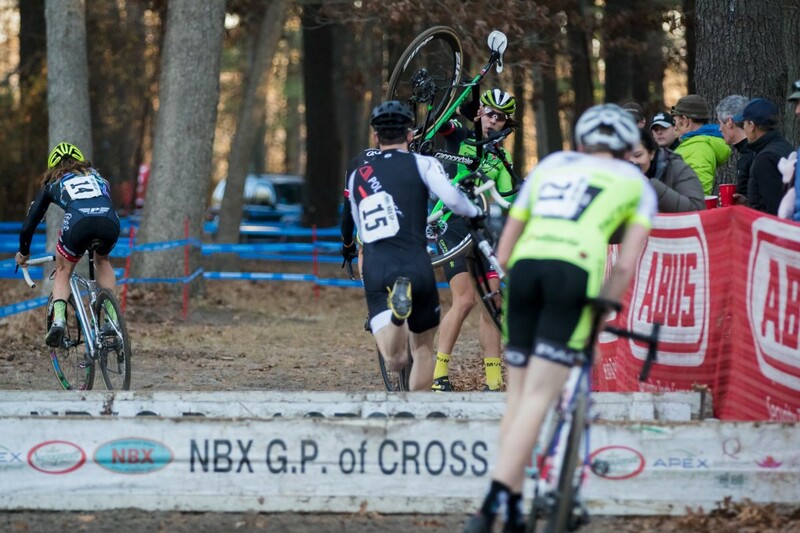 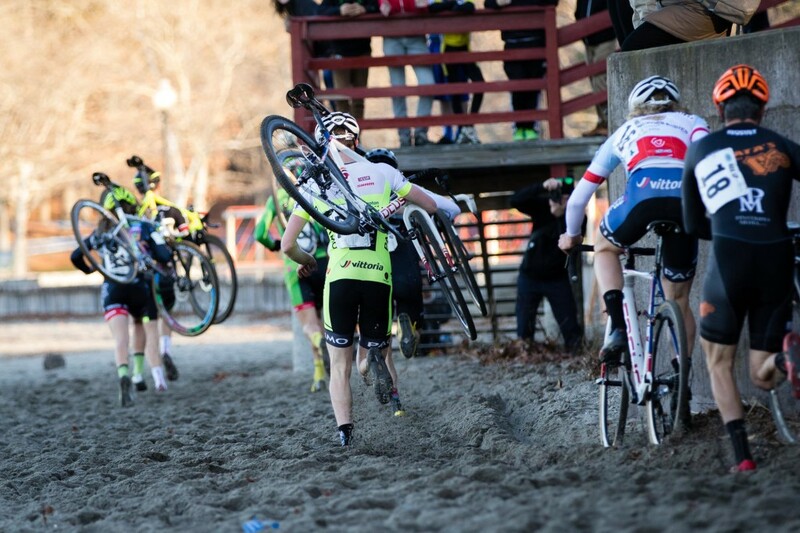 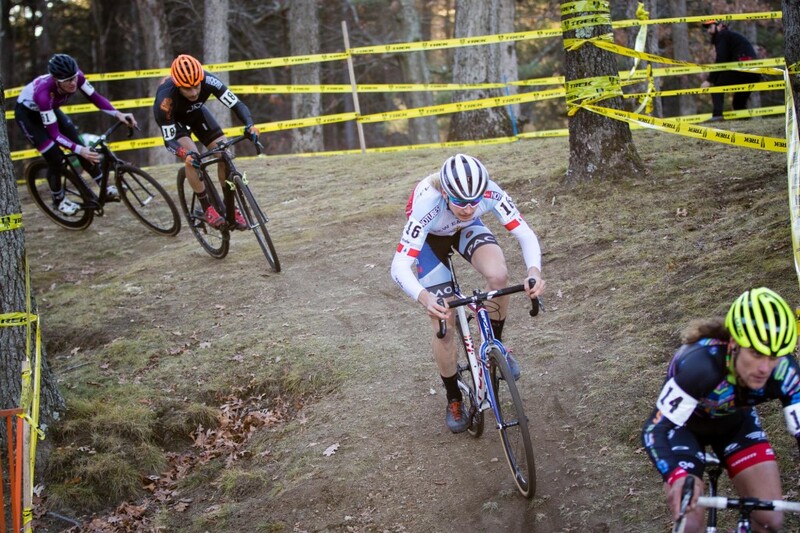 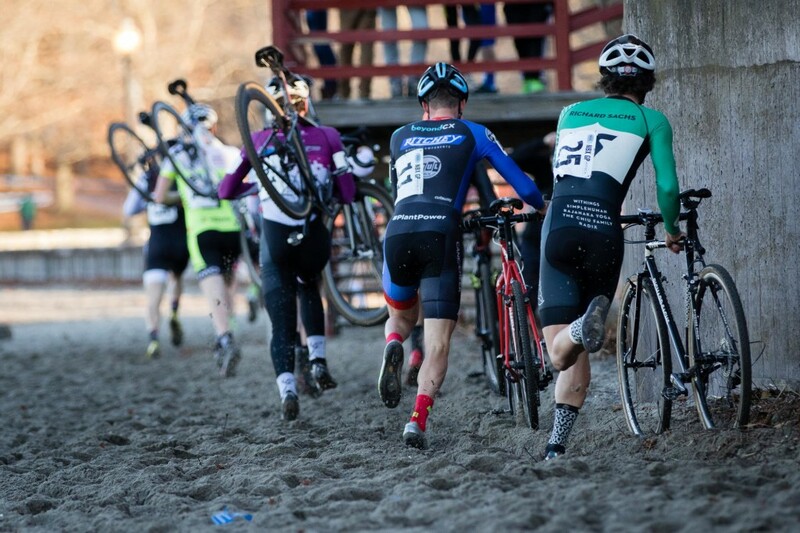 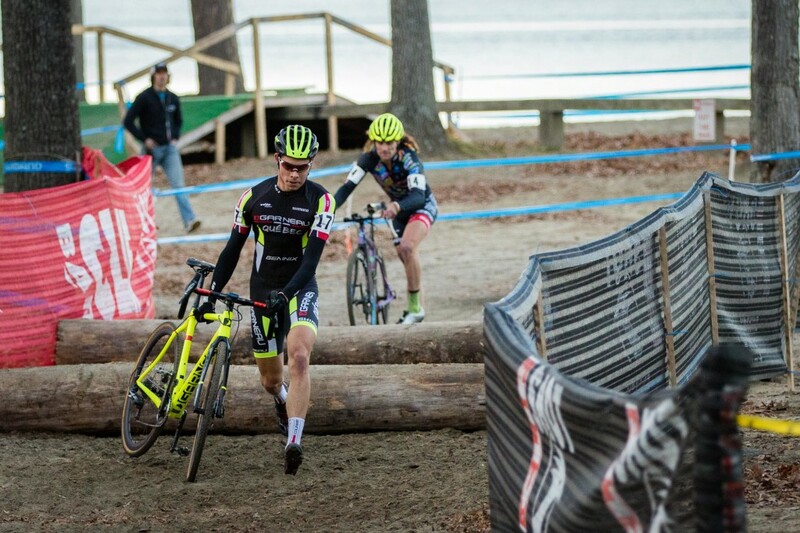 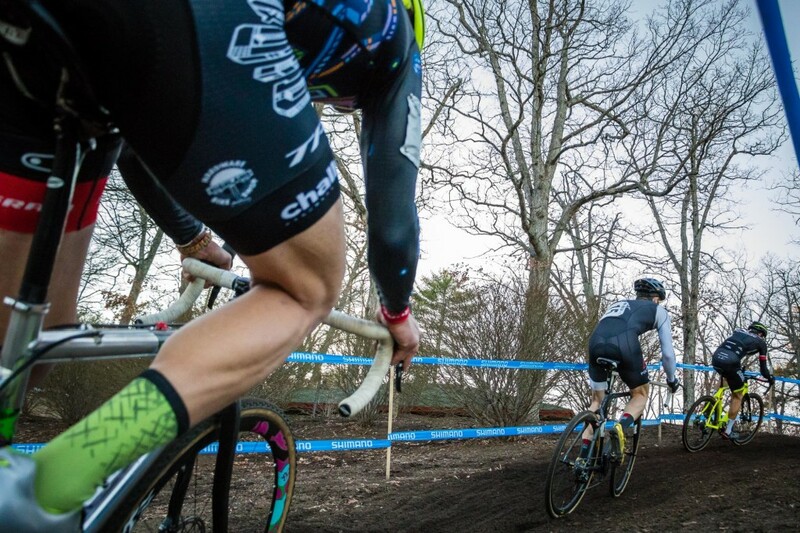 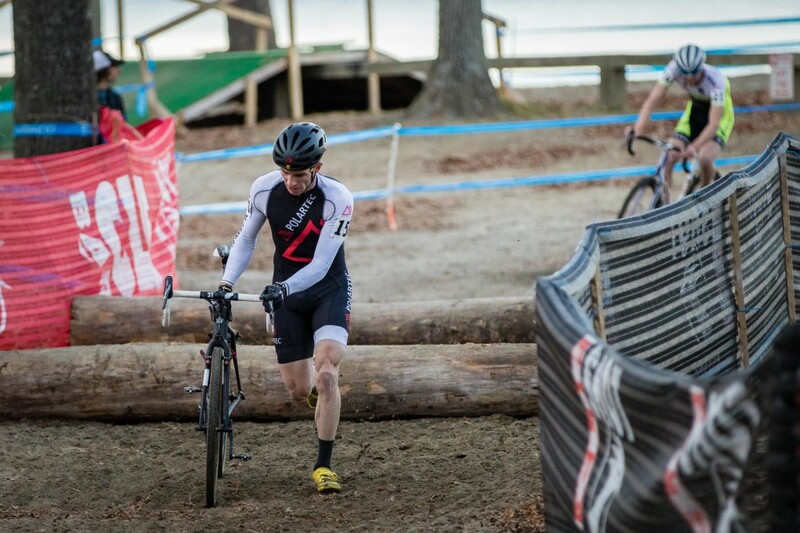 After a lead group of five traded blows over the majority of the race, Jeremy Martin (Louis Garneu) emerged victorious from fray at day 1 of the NBX Grand Prix of Cyclocross. 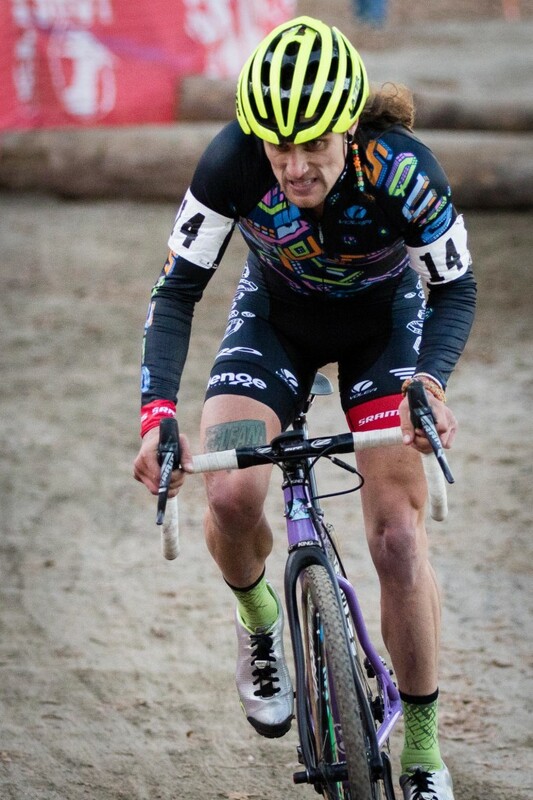 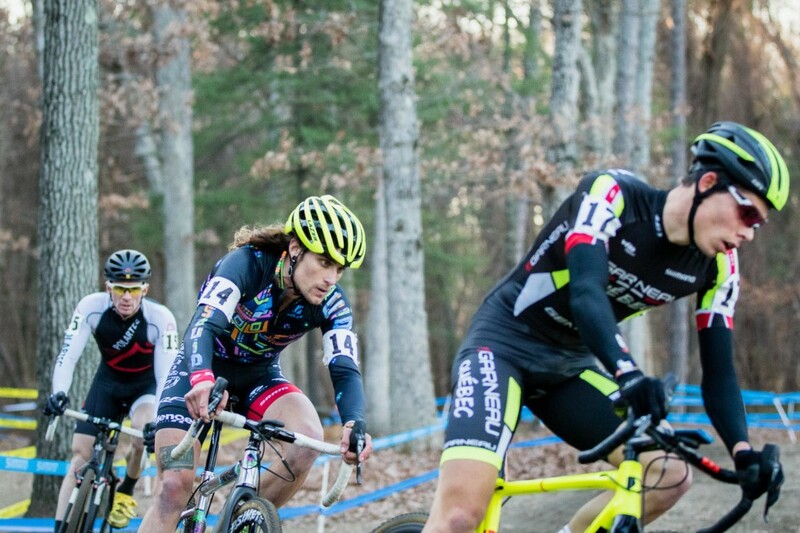 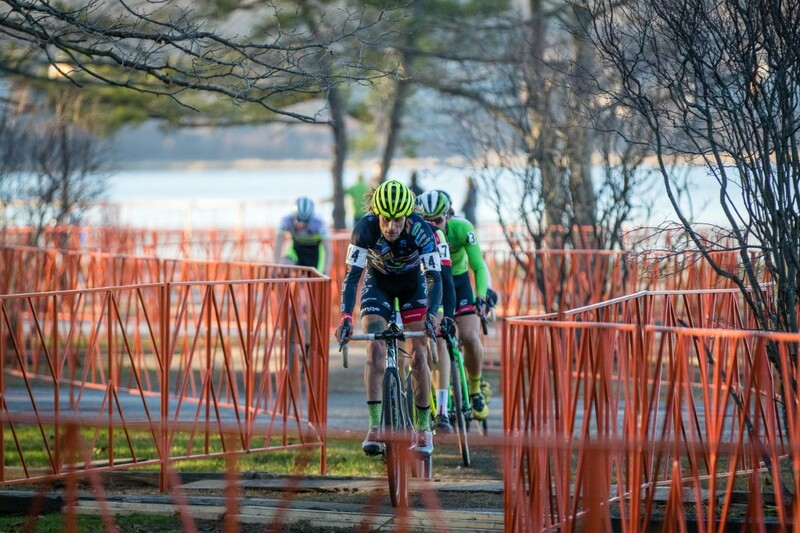 Behind him, Anthony Clark (Squid Bikes) rode an aggressive race, driving the pace through many sections to secure 2nd. 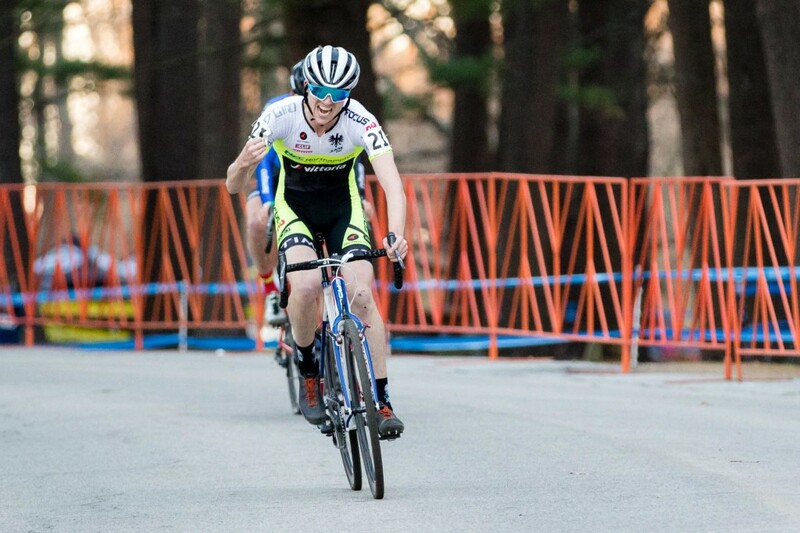 As a final survivor of some late-race attrition, the JAM Fund/NCC/Vittoria team scored a bonus podium spot, with Jack Kisseberth taking 3rd place. 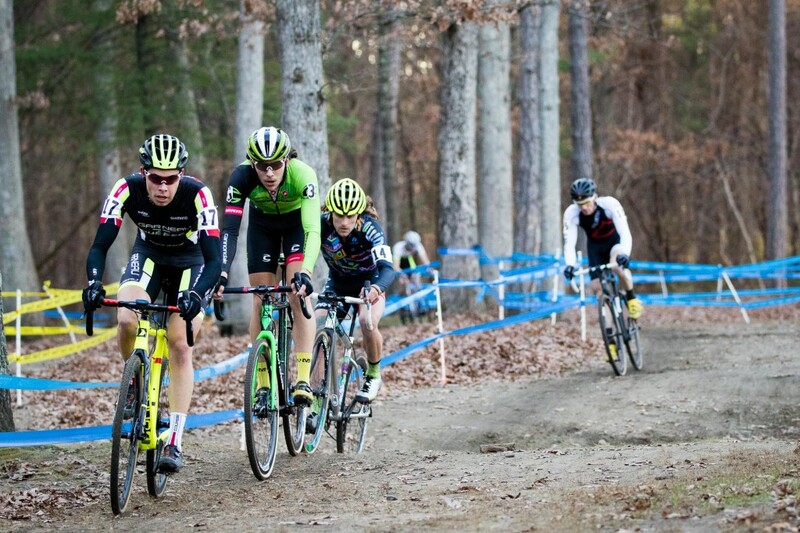 After the start half-lap, the lead group began to form: Martin, Curtis White (Cannondale p/b CyclocrossWorld), Clark, Smith, Christian Favata (TRT Bicycles), and Peter Goguen (Race CF). 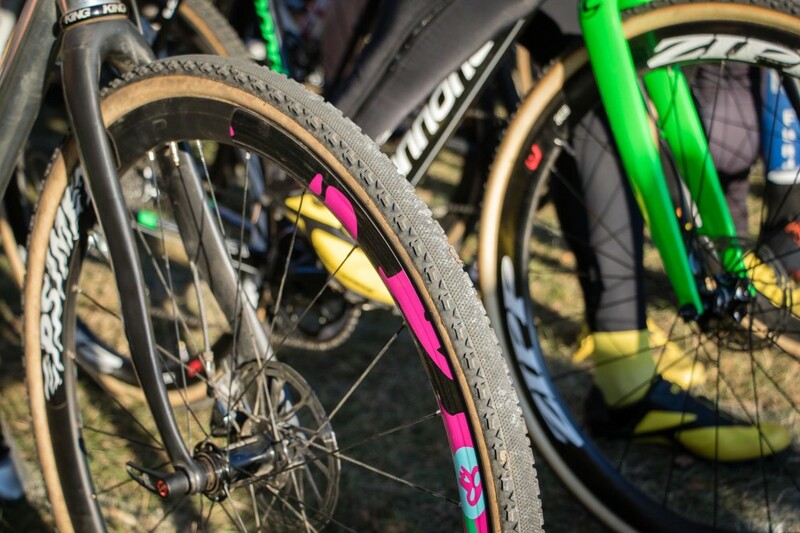 However, despite setting a blistering early pace and almost establishing a gap on any chasers, the lead group’s escape would briefly lull. 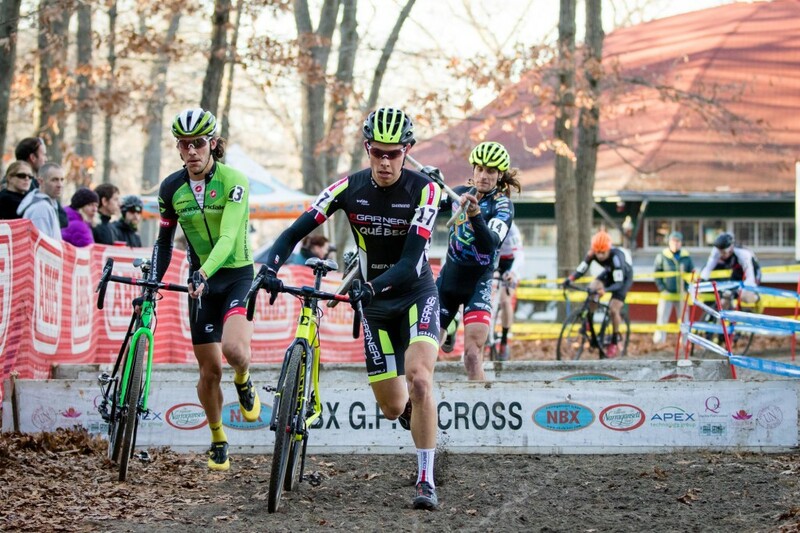 Clark, Martin, White, and Mcnicholas, with Kesseberth just out of view. 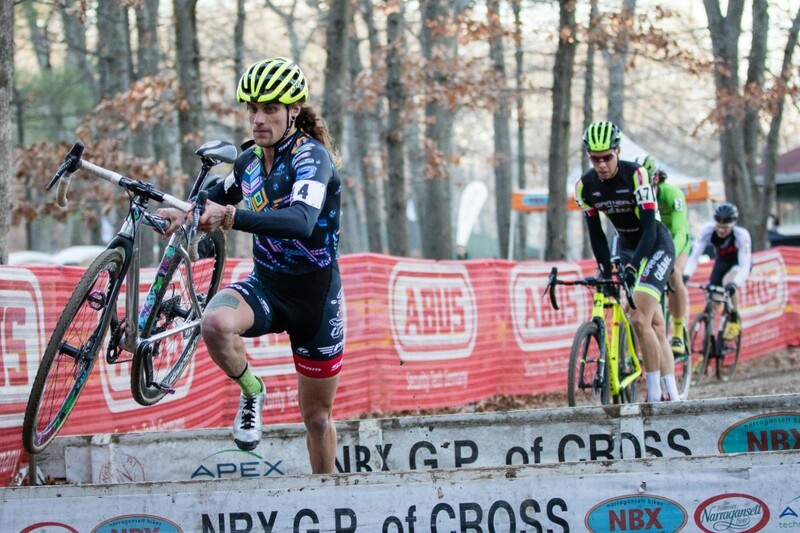 Coming through the planks again, White bobbled, clipping his bike on one of the barriers and pitching it end-over-end. 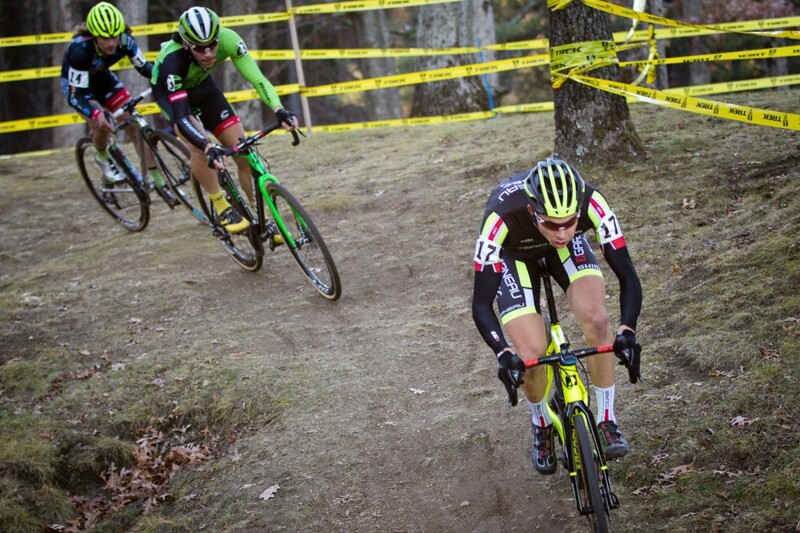 White was absent from the front, having mechanicaled earlier in the lap and subsequently forced to limp to the pits and dropping back to 9th place. 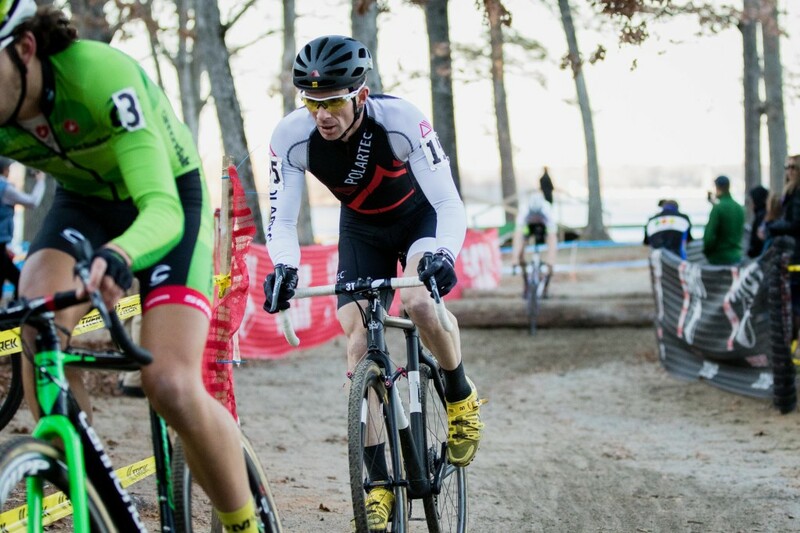 White would eventually fight his way back to 6th place, but ran out of time to make up any further placings. 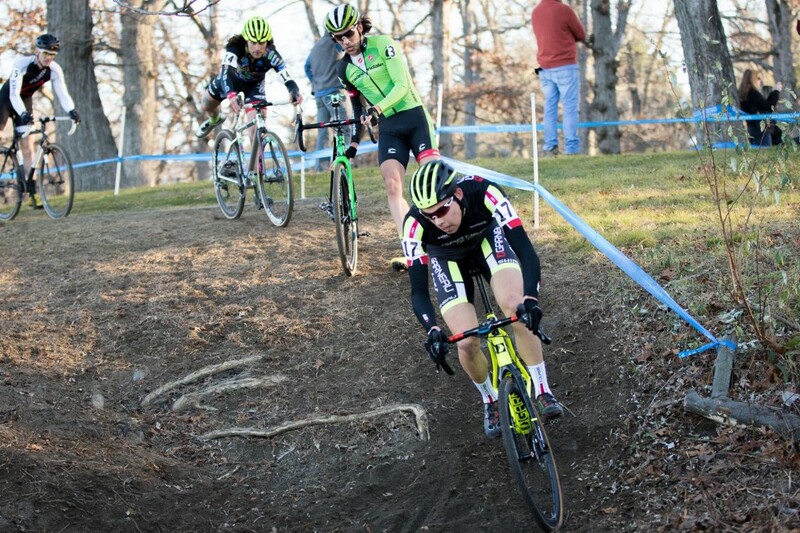 Despite Clark’s best efforts, Martin was able to stay away for the win, finishing just 2 seconds ahead of Clark in 2nd. 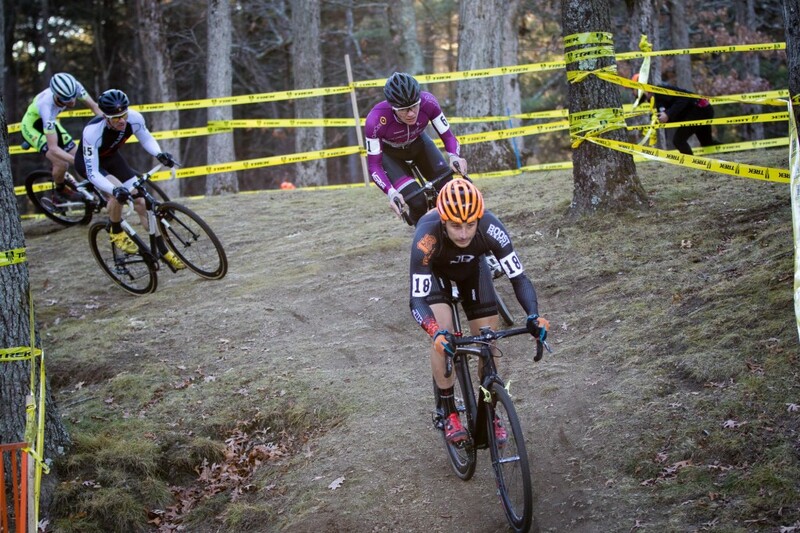 Stay tuned for day 2, and the culmination of the Verge NECX series.